Validate your best product ideas with concept testing. Identify which product or service offers the best market opportunities and which will squander valuable R&D efforts. Test every aspect of your product concept from features to branding to messaging to set your product up for success. Capture crucial insights about your idea concepts. Qualtrics research tools enable you to choose from various testing methods to find the right insights for successful products, with each guiding you toward concepts that will take the market by storm. Use Qualtrics XM Solutions to text new product concepts, product modifications, migration paths, usability, pricing, and more. Know at a glance which ideas are winners with data visualisation. View concept results side-by-side and dive deep into the strengths and weaknesses of each idea to enhance strengths or address issues well ahead of market release. Point and click functionality lets you customise reports with ease to display the right data for the right audience. Concept testers bring new perspectives to product evaluations, often shedding light on new opportunities or roadblocks. Open text analysis helps you get to the heart of key topics and sentiment to learn which changes are mission critical and which are merely nice to have. Crucial insights about your concept can be buried deep in open text responses. 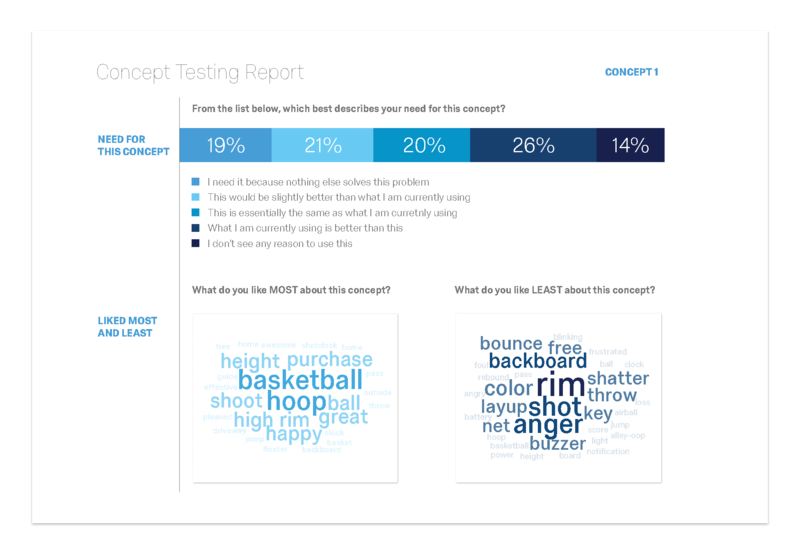 Apply AI to your text to automatically uncover topic and sentiment to find out how testers truly feel about your concepts. Find out which products they would eagerly anticipate and which ones would fall flat. Understanding which concepts will generate the most demand means finding the right audience to test them. Whether your target audience is composed of tech-savvy traditionalists or family-friendly fundamentalists, we can help. 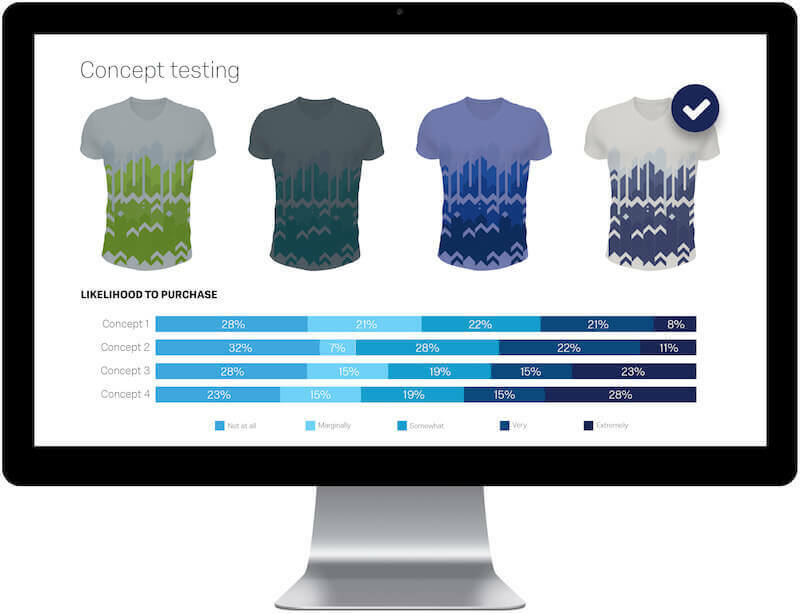 Qualtrics Research on Demand can help you find the ideal set of respondents to minimise surprises when you take your new product to market. 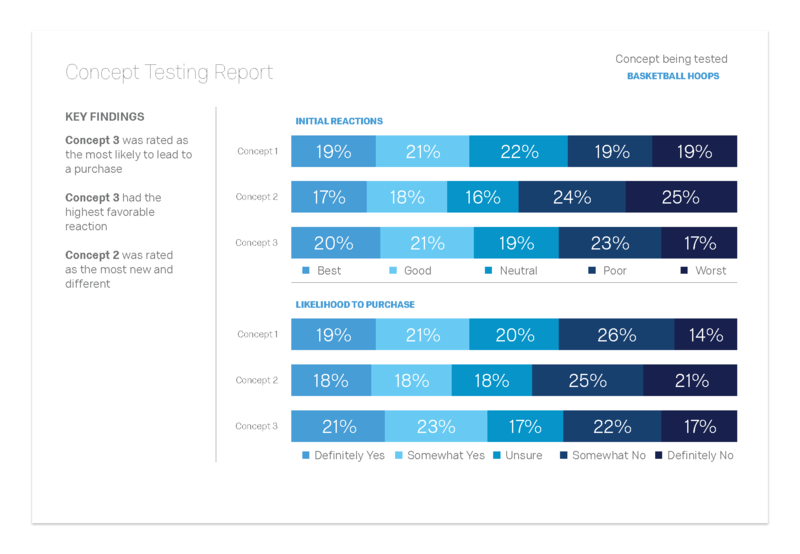 Concept testing is the investigation of potential consumers’ reactions to a proposed product or service — before introducing the product or service to market. As organisations look to launch a product or invest in the development of an idea, concept testing is essential to identifying perceptions, wants and needs associated with a product or service.